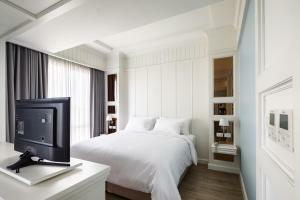 Located in Bangkok, 7 km from Emporium Shopping Mall, Siam Tharadol offers accommodation with an outdoor swimming pool. 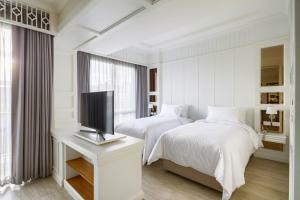 Featuring free shuttle service, this property also provides guests with a restaurant. 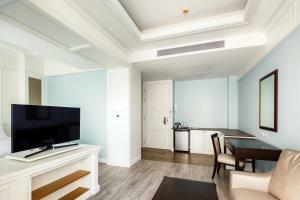 The property is set 8 km from Queen Sirikit National Convention Centre. 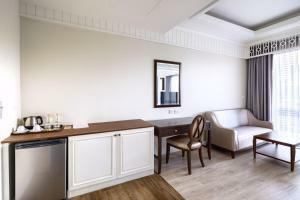 The units at the hotel come with a seating area, a flat-screen TV with satellite channels and a private bathroom with free toiletries and a bidet. 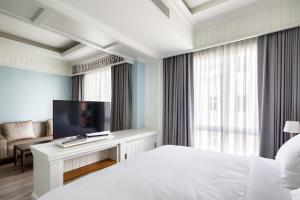 Guest rooms will provide guests with a desk and a kettle. 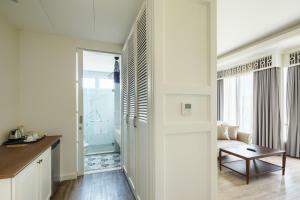 Speaking English and Thai at the 24-hour front desk, staff will be happy to provide guests with practical information on the area. Please note that the property offers free shuttle service to BTS Bangchak Skytrain Station. 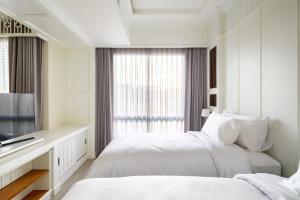 Guests wishing to make use of the service are kindly requested to contact the receptionist for more information. 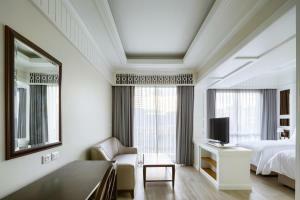 Rate: THB 2160.00 ... THB 4275.00; select dates below to get current rates. 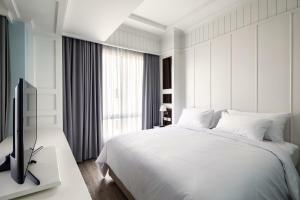 Rate: THB 2160.00 ... THB 3225.00; select dates below to get current rates.